Here is a collection of Yoga readings. 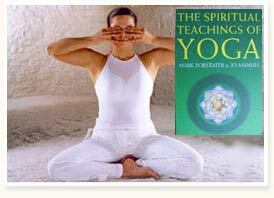 This Yoga reading list contains Yoga books and Yoga literature information. Kripalu Hatha Yoga Book by Christopher Ken Baxter - This is an illustrated book and presents 26 postures that provide a complete, well-rounded practice for beginners and experienced Yoga students. Yoga Asanas Simplified by Shri Yogendra - the founder President of the Yoga Institute of Santacruz, Mumbai. The Yoga Tradition by George Feuerstein, a comprehensive book of over 700 pages on the history, literature, philosophy and practice of all traditions and branches of Yoga. The Shambhala Guide by George Feuerstein, a short introductory book on Yoga. The Shambhala Encyclopedia of Yoga by George Feuerstein, a collection that provides a methodical summary of the complex Yoga tradition and all its key concepts. The Tree of Yoga by B. K. S. Iyengar, which uses the symbol of the tree to explain various yogic paths. Yoga by Judith Lasater- It examines the moral principles and practices of Yoga, as everyday application. Yoga as Philosophy and Religion by S N Dasgupta. Yoga by Bouanchou, a translation of and practical commentary on the Yoga-Sutra of Patanjali. Tantra- the Path of Ecstasy by George Feuerstein, a systematic summary of the teachings of the important but widely misunderstood branch of Yoga called Tantrism. Meditation for Dummies by Stephan Bodian, a useful practical introduction to Yoga's central art of meditation. Autobiography of a Yogi by Paramahansa Yogananda- a popular and inspirational account of the amazing life of a modern master of Yoga. The Complete Illustrated Book of Yoga by Swami Vishnu-Devananda. Meditation and Mantras by Swami Vishnu-Devananda. Yoga for Women Simplified by Smt Sitadevi. Bliss Divine by Swami Sivananda.